"We must restore integrity and the rule of law at our borders." Missouri doesn't have an illegal immigrant problem? I wouldn't say they have "no illegals," but I'm guessing the numbers relative to state population are much lower than other states if the below is accurate. Missouri has no illegal's; go figure. Shouldn't the other states do the same? Missouri's approach to the problem of illegal immigration appears to be more advanced, sophisticated, strict and effective than anything to date in Arizona. Does the White House appreciate what Missouri has done? So, why doesn't Missouri receive attention? Answer: There are no illegal's in Missouri to demonstrate. The "Show Me" state has again shown us how it should be done. There needs to be more publicity and exposure regarding what Missouri has done. Please pass this around. In 2007, Missouri placed on the ballot a proposed constitutional amendment designating English as the official language of Missouri. In November, 2008, nearly 90% voted in favor! Thus, English became the official language for ALL governmental activity in Missouri. No individual has the right to demand government services in a language OTHER than English. 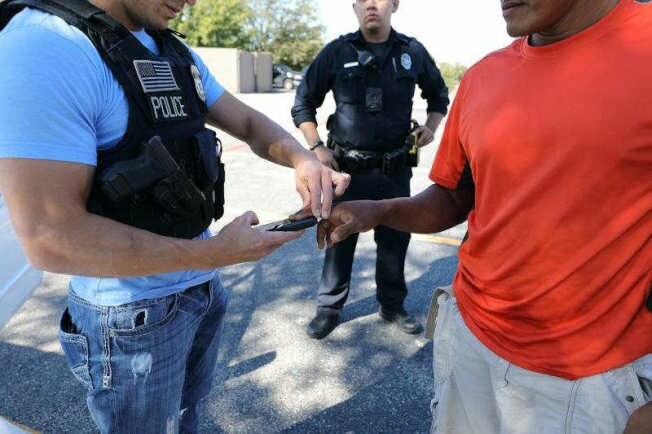 In 2008, a measure was passed that required the Missouri Highway Patrol and other law enforcement officials to verify the immigration status of any person arrested, and inform federal authorities if the person is found to be in Missouri illegally. Missouri law enforcement officers receive specific training with respect to enforcement of federal immigration laws. In Missouri, illegal immigrants do NOT have access to taxpayer benefits such as food stamps or health care through Missouri Health NET. In 2009, a measure was passed that ensures Missouri's public institutions of higher education do NOT award financial aid to individuals who are illegally in the United States . So, while Arizona has made national news for its new law, it is important to remember, Missouri has been far more proactive in addressing this horrific problem. Missouri has made it clear that illegal immigrants are NOT WELCOME in the state and they will NOT receive public benefits at the expense of Missouri taxpayers. "Sounds good to me. This is a good example of the States finding solutions to problems and the more effective ones are then available to other States to mimic. Kinda what the whole idea was regarding the individual states having the most say in State matters. Those founding guys were pretty smart. "